If you are considering taking your Nursing Elective abroad, then Jamaica would be a perfect choice. Jamaica was one of the first countries to establish a national health service, so facilities are generally of a good standard. However, you are likely to encounter many diseases that are less common than in Europe and North America including rare cancers, malaria, dengue fever and sickle cell anaemia. Elective volunteers in Jamaica should be in at least their third year of nursing studies. Students taking their Nursing Electives are based in Mandeville or St Elizabeth. Volunteers who are based in Mandeville work at the Mandeville Regional Hospital, Percy Junor Hospital or at a health centre in, or close to Mandeville. In St. Elizabeth volunteers work at the Black River Hospital or a variety of health centres. The Health Department and health centres offer a variety of services including an adolescent health clinic, wellness clinic, child health, curative health, family planning and health programme and sexually transmitted infection clinics. The categories of nurse at these facilities are public health, midwife, registered, enrolled and community health aides. If you join a Nursing Elective we offer the following nursing specialisms; adult, child, mental health and learning disabilities. Projects Abroad will match you to the best placement that meets your requirements for your degree. We can liaise with your university and help ensure you meet their criteria. Your supervisor, a trained member of medical staff, will ensure that you work in a variety of departments during your placement so you will be exposed to a wide range of medical cases throughout your stay. They will be on hand to discuss cases with you and ensure you are getting what you need from your placement. If you want to specialise in one department or area, please let us know. Our Medical Project Officer organises regular workshops for our Medicine & Healthcare Elective students. These meetings will provide you with a deeper insight into the healthcare system in Jamaica. They will also provide an opportunity to become familiar with the most common illnesses in the country and to discuss and share the work that you do at your placement. 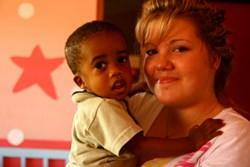 While on your placement you will live with a local host family where you will experience true Jamaican hospitality. You will find a lot to do in and around Mandeville and there are plenty of other Projects Abroad volunteers to experience it with.